My inspiration comes from the relationship I build with my clients. I know what designs look best as well, what fabrics and colors will complement a women's body. Award winning designer Carlos Ramirez knows how to dress a women’s body. His costumes are sophisticated, gorgeous (one of a kind), meticulously detailed and made for movement. 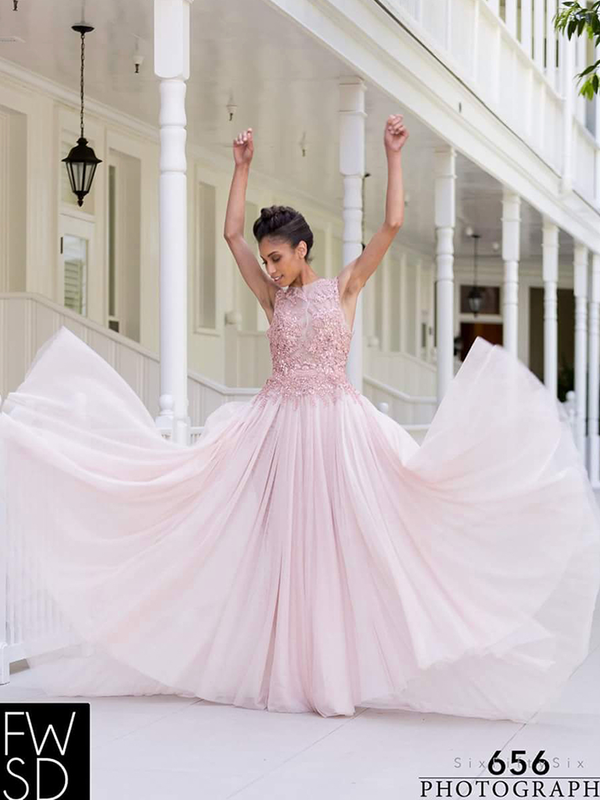 He specializes in a variety of dresses: Bridal, Quinceañera, Ballroom and Salsa Costumes, Cocktail Dresses and Evening Gowns. His Designs can be seen globally since he has clients both domestic and internationally. A one of a kind creation made entirely of items found in the trash.